#THESTRANDEDPLAYLIST PODCAST: EPISODE 79 STREAMING NOW! No Comments on #THESTRANDEDPLAYLIST PODCAST: EPISODE 79 STREAMING NOW! 75TH EPISODE OF ‘THE STRANDED PLAYLIST’ UP & STREAMING NOW! Streaming now, the 75th episode of The Stranded Playlist! Comments Off on 75TH EPISODE OF ‘THE STRANDED PLAYLIST’ UP & STREAMING NOW! NEW PODCAST OF ‘THE STRANDED PLAYLIST’ EPISODE #65 STREAMING NOW! 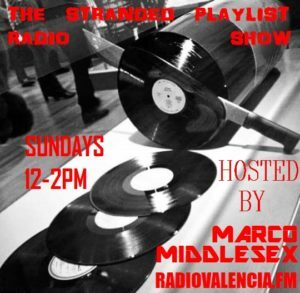 Live broadcast of #TheStrandedPlaylist every Sunday 12-2pm! Comments Off on NEW PODCAST OF ‘THE STRANDED PLAYLIST’ EPISODE #65 STREAMING NOW! 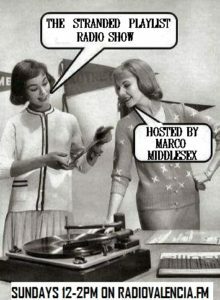 NEW ‘THE STRANDED PLAYIST’ PODCAST UP NOW, FEATURING A 45RPM SINGLE OLDIES TRIBUTE SET & SO MUCH MORE FOR YOUR LISTENING PLEASURE! The Belle Of St. Mark – Sheila E.
Comments Off on NEW ‘THE STRANDED PLAYIST’ PODCAST UP NOW, FEATURING A 45RPM SINGLE OLDIES TRIBUTE SET & SO MUCH MORE FOR YOUR LISTENING PLEASURE! NEW PODCAST OF ‘THE STRANDED PLAYLIST’ POSTED NOW! Catch new shows live every Sunday, new podcasts post every Monday! Comments Off on NEW PODCAST OF ‘THE STRANDED PLAYLIST’ POSTED NOW! ‘THE STRANDED PLAYLIST’ AUDIOODYSSEY STARTS @ NOON, COME & JOIN ME ON ANOTHER MYSTERIOUS VOYAGE! It’s Sunday & time for a new audio odyssey for you awesome listeners and for spending Sunday brunch with me, THANK YOU! I’ve got some fantastic playlists of other music lined up, curated by me & YOU! 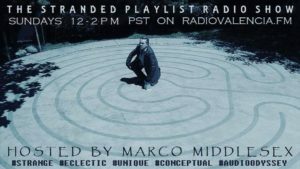 Please tune in and join me from 12 til 2pm PST TODAY for an alternative Sunday brunch music experience! I’ll be spinning more #disco #60s #70s #80s #90s #2000s & a current #edm #music playlists created by me & some sent in by YOU, the listener! Comments Off on ‘THE STRANDED PLAYLIST’ AUDIOODYSSEY STARTS @ NOON, COME & JOIN ME ON ANOTHER MYSTERIOUS VOYAGE! 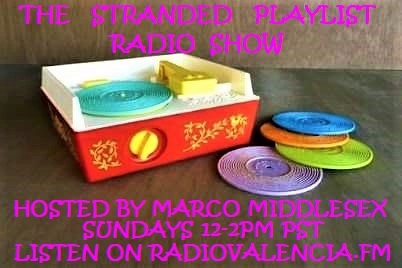 TUNE IN @ NOON TIL 2PM PST TODAY FOR A NEW EPISODE OF #ThrStrandedPlaylist ON #RadioValencia! I’ll be spinning more of the platters that matter from all genres & eras, some requests from you guys &new #remixes of some amazing new #Billboard Dance charting hit songs #Unity by #KnifeAndFork, #LeoFrappier & Ft. #BebeSweetbriar & #TurnItUp by #KymSims! Also spinning hot tracks by #SheenaRose, #BlissBliss, #XavierToscano & #Raquela!! The Sunday brunch audio odyssey departs @ 12pm PST, please join me!! TODAY AT NOON TIL 2PM! Tune in to the first Sunday brunch broadcast of my show #TheStrandedPlaylist! I’m now on at a new day & time, join me for a brand new audio odyssey! Also there will be more new #remixes of some amazing new #Billboard Dance charting hit songs #Unity by #KnifeAndFork, #LeoFrappier & Ft. #BebeSweetbriar & #TurnItUp by #KymSims! Also spinning hot tracks by #SheenaRose, #BlissBliss & #XavierToscano to complete this new episode!! TONIGHT AT 6PM! ON ‘THE STRANDED PLAYLIST’ LISTEN TO JEFF WAYNE’S MUSICAL ADAPTATION OF H.G. WELLS ‘WAR OF THE WORLDS’ PLUS NEW EDM REMIXES! FROM 6-8PM PST, GET READY FOR AN OUT OF THIS WORLD EXPERIENCE! 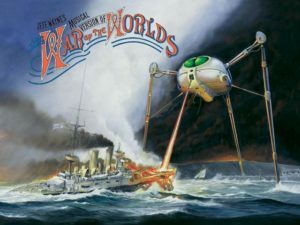 On a special new episode of #TheStrandedPlaylist I will be playing the classic musical adaptation of Jeff Wayne’s Musical Version of The War of The Worlds in it’s entirety. An incredible audio retelling the story of The War of the Worlds by H. G. Wells. Released almost 40 years ago on September 6, 1978. It is a concept album, its main format is progressive rock and string orchestra, using narration (by the late actor Richard Burton) and leitmotifs to carry the story via rhyming melodic lyrics that express the feelings of the various characters portrayed in this incredible musical re-imagining of the classic science fiction story about a Martian invasion in Victorian London! The two-disc album remains a bestseller, having sold millions of records around the world! Afterwards at around 7-30 I’ll be spinning new #remixes of some amazing new #Billboard Dance charting hit songs #Unity by #KnifeAndFork, #LeoFrappier & Ft. #BebeSweetbriar & #TurnItUp by #KymSims! Comments Off on TONIGHT AT 6PM! ON ‘THE STRANDED PLAYLIST’ LISTEN TO JEFF WAYNE’S MUSICAL ADAPTATION OF H.G. WELLS ‘WAR OF THE WORLDS’ PLUS NEW EDM REMIXES! TONIGHT! FROM 6-10PM, NEW EPISODES OF ‘THE STRANDED PLAYLIST’ & ‘LATENITE BUBBLES’ & AN EXCLUSIVE INTERVIEW FROM THE M.U.F.O.N. ORGANIZATION! Get ready for 4 fantabulous hours of radio entertainment on Radio Valencia, broadcasting across the planet from San Francisco! 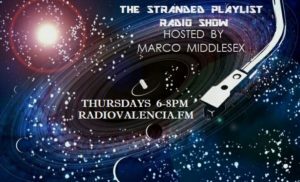 Tune in @ 6pm PST to The Stranded Playlist Radio Show & join me on another audio odyssey! Featuring new #remixes of #Billboard Dance charting hit songs #Unity by #KnifeAndFork, #LeoFrappier & Ft. #BebeSweetbriar & #TurnItUp by #KymSims! Also spinning hot tracks by #SheenaRose, #BlissBliss & #XavierToscano to name a few! PLUS some more classic… #disco, #80s, #90s & #2000s tunes & also a couple of brand new delicious dance ditties! 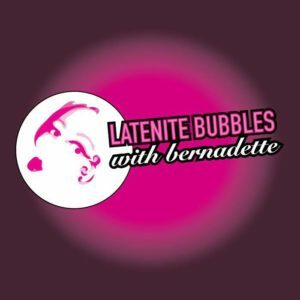 Stay tuned in after for a new episode of the Latenite Bubbles with bernadette RADIO SHOW from 8-10pm with special guest calling in, Devlin Rugne. Assistant State Director for Northern California #MUFON , STAR team and Special Assignment team member. Devlin will be talking to us about the MUFON (Mutual UFO Network), what they do & also about documented UFO sightings & encounters in the Bay Area & San Francisco! Also about why California is the highest number of documented UFO sightings & encounters in this country, also some insight about the ‘experiencer’ phenomenon & much more on this fascinating subject! You don’t want to miss this, TUNE IN TONIGHT FROM 6-10PM! Comments Off on TONIGHT! FROM 6-10PM, NEW EPISODES OF ‘THE STRANDED PLAYLIST’ & ‘LATENITE BUBBLES’ & AN EXCLUSIVE INTERVIEW FROM THE M.U.F.O.N. ORGANIZATION!